SRC research assistant professor Hongwei Xu and his colleagues studied how early-life conditions affected cognitive function among the middle-aged and elder population in China in a recent paper published in the Journal of Aging and Health. They found that childhood socioeconomic status (SES) and nutrition were significantly associated with late-life memory performance. Their results also showed important geographical (urban vs rural) differences. Cognitive function is an important dimension of well-being. Previous research has shown that it is directly associated with the ability to process information and perform activities in daily life, and a low level of cognitive function is also associated with higher demand for personal care and premature deaths among the elderly. Research has also shown that early-life conditions such as SES and health may influence cognitive function in older ages. Nevertheless, most of this research has been conducted in North America and European contexts, and whether these results can be generalized in other contexts remains a question. 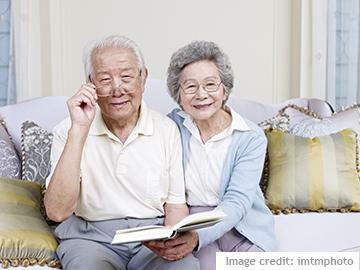 Hongwei and his colleagues studied the relationship between early-life conditions and older-age cognitive function in China using the Chinese Health and Retirement Longitudinal Study (CHARLS), a nationally-representative sample of those aged 45 or older in China. They tested two hypotheses: whether childhood SES, nutrition, and health were associated with late-life cognitive function, and whether such effects were also explained by adulthood SES and health. Only the 2011 (the very first) wave of the CHARLS data was used. Cognitive function was measured by memory performance via “word recall”, in which respondents were asked to recall 10 Chinese nouns right after the interviewer read them to the respondents (“immediate recall”) as well as 4 minutes later (“delayed recall”). Childhood SES was measured by father’s education, mother’s education, and childhood residence (urban vs rural). Childhood health was self-reported (and hence retrospective), and childhood nutrition was measured by knee height. Adulthood SES was measured by education, employment status, pension benefit, and household asset (number of luxury items in the house). Adulthood health was measured by the existence of chronical disease, functional limitation, and difficulties in performing activities of daily living (ADL). Hongwei and his colleagues found that childhood SES and nutrition (but not health) were associated with memory performance in China. Additionally, living in an urban residence in childhood also had positive effect on late-life cognitive function, possibly because the Chinese government disproportionally allocated its resources in industrial cities and set up barriers to movements from rural to urban areas. The paper also found the association between childhood conditions and cognitive function can also be partially explained by the respondent’s own level of education. Adulthood SES and health did not seem to have additional explanatory power to the main effect between childhood conditions and late-life cognitive function. That those who grew up in urban areas had better late-live cognitive outcomes was especially interesting. Today’s elderly population in China grew up at a time when the urban population had substantial advantages in food, education, employment, housing, and health care. Although the restriction in migration was eventually relaxed, it still is difficult even today to change the household registration (hukou) from rural to urban. Hence, Hongwei’s paper also adds to the literature that childhood residence affected late-life outcomes through a channel that is quite specific in the Chinese context.